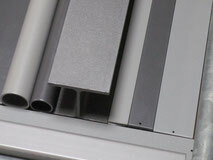 All steel elements are made of solid profiles, tubes and sheets. Steel is produced primarily from iron. 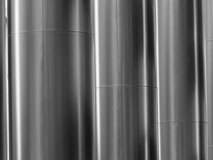 Pure, metallic iron is a fairly soft, silver-white metal. In the Earth's crust is iron with about 6 % the second most common metal and the fourth most common element. From iron ore and coke, pig-iron is produced in blast furnaces, which becomes to steel by reducing the carbon content. All screws are made of stainless steel. Stainless steel elements of ashtrays and litterbins have a brushed surface. Stainless steel cycle stands have a polished or a glass-pearled blasted surface. The construction material Cor-Ten is almost solely made from steel sheets with a thickness of 2 - 20 mm and is mill finished until further proccessing. The intended rust patina accrues due to the interplay of moist and dry weather. It begins to show after 2-3 weeks after installation outside and is finished after approx. 1,5-3 years. Within this periode of time there can occur rust eluviations. A variety of our products are not made from steel sheets (like Cor-Ten) but from steel porfiles in different sizes and forms that can not be produced from the the construction material Cor-Ten. To be able to provide the rust effect nonetheless, we are offering the the UFM-Rust Coating that is used for all products in our portfolio and is visible from the day of delivery wihtout any disadvantages. 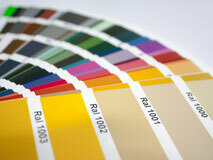 Please replace the phrase "top coat colour DB…iron mica fine structur" with "UFM-Rust Coating". The side panels of the benches consist of cast iron with lamellar graphite or spheroidal graphite iron. Cast iron with lamellar graphite is the eldest cast material on the base of iron and it is characterised by excellent absorption properties and its resistance to corrosion. The essential components are iron, carbon and silicon. Compared to normal cast iron, a significantly lower sensitivity of wall thickness is achieved. 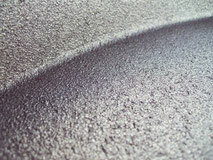 Spheroidal graphite iron has the same basic material, but during the melting of the cast iron, the adding of magnesium effectuates, that the graphite changes its form from lamellar-shaped to ball-shaped, which causes a higher absorption of impact energy. After the construction process all steel elements get a durable hot-dip galvanizing against corrosion and a high-class colour-coating according to RAL or micaceous iron or DB. Cast-iron-elements get a sandblasting before the anti-corrosion-coating and the colour covering according to RAL or micaceous iron or DB. 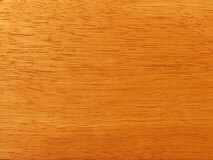 Bilinga is a tropical hardwood from sustainable cultivation for protection of ecological resources and has at the beginning a yellowish-brownish impression, which changes after a few month outdoor weathering in a silver-gray colouring. Resistance category 1, Definition: very durable, for a life-expectancy beyond 25 years. 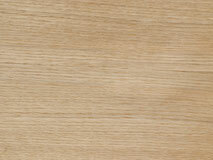 Bilinga is a medium- to heavy-weight wood with extreme favourably resistance characteristics, which are significantly higher than those of beech and oak. Larch is a homelike, supremely durable wood with an initially ginger impression, which changes after a few month outdoor weathering in a silver-gray colouring. 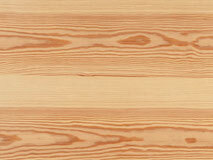 Larch wood has good resistance characteristics and is regarded as the most robust pinewood. Eichenholz bringt eine Vielzahl positiver Eigenschaften mit. Besonders herausragend ist die Robustheit und Haltbarkeit der Eiche. Außerdem ist Eichenholz sehr witterungsbeständig und resistent. 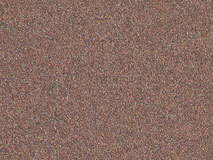 Das Kernholz der Eiche, welches sich in der Mitte der Eichenstämme befindet, besitzt eine grau-braune Farbe. Eichenholz wird überwiegend als Massivholz verarbeitet und dient als klassisches Holz der Möbel-Herstellung. Larch-Composite from sustainably managed areas according to EU-Timber Regulation (EUTR), dried to under 15% wood moisture, min. 95 branchless in visual range, planed with grain 240 and repeatedly honed with grain 240, chamfered edges, wood surface comes in natural state. Union-FreiraumMobiliar only uses timber with distinct origin and that meets the requirements of the EUTR. Timber suppliers are being controlled by outside authorities and abide by the duty of care Act of the the German timber trade association, wich in turn is subjected to the Federal Office for Agriculture and Food. The obligation to use woods from sustainably managed areas is a law within the EU since March 3rd 2013. The EU-Timber Regulation (EUTR) prohibits import of illegal harvested timber or products made from it. The EUTR and the Timber Trade Protection Act (HolzSiG) dictate that the import supply chain of wooden products has to be transparent and tracable - up to the legal origin of the timber. If desired, the coverings of the seats and decorative slats can be made from other (homelike) woods or as well from recycling-wood laths. All products are factory pre-assembled, the delivery is ready for installation. 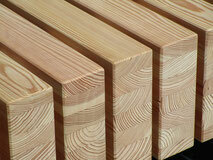 In Europe, there a the following standard raw timber thicknesses before drying: 52 mm, 65 mm, 78 mm. These raw timber thicknesses discribe how timber is cut and are valid all over Europe. From the raw timer thickness one get to the final thickness due to dressing, planing and multiple smoothing. The final thickness of 40 mm, per example for standard bench planks, which are made from raw timber with 52 mm thickness, is generically used. Big wodden cross-sections are best made from multiple waterproof glue-laminated wood. We recommend Larch-Composite wood, where we get branchless in over 90 of the visual range by selecting surfaces. Another advantage is that we can assemble bigger cross-sections out of smaller ones that are already dried. Larch-Composite wood is, as well as our other woods, dried to a residual moisture of 15-18%.